This particular ship, The Norwegian Epic, was a repositioning cruise on its last trans-Atlantic voyage from Miami to Barcelona, Spain; its new incarnation would be sailing through the Mediterranean. The fifteen decks contained a maximum capacity of 4,200 passengers but on this trip there were (just!) over 3,100 onboard, with an average age of 59 years. (It was rather nice to blend in.) The eleven-hundred crew members worked diligently to make sure our time aboard was a pleasurable experience. The major pastimes of the guests appeared to be eating, sunbathing (in rather chilly temps on the upper deck) and gambling although there were evening shows with a hypnotist, comedians, musical acts and karaoke for those so inclined. There were art auctions, meet and greets for the singles on board and Friends of Bill W. and Friends of Dorothy gatherings. And, of course, outrageously priced booze for the thirsty ship passengers. However, the star of the show was the F-O-O-D: well prepared, varied and plentiful. The buffet and food bars were extensive and overflowing. Pushing back from the table, to our consternation, became a major preoccupation. 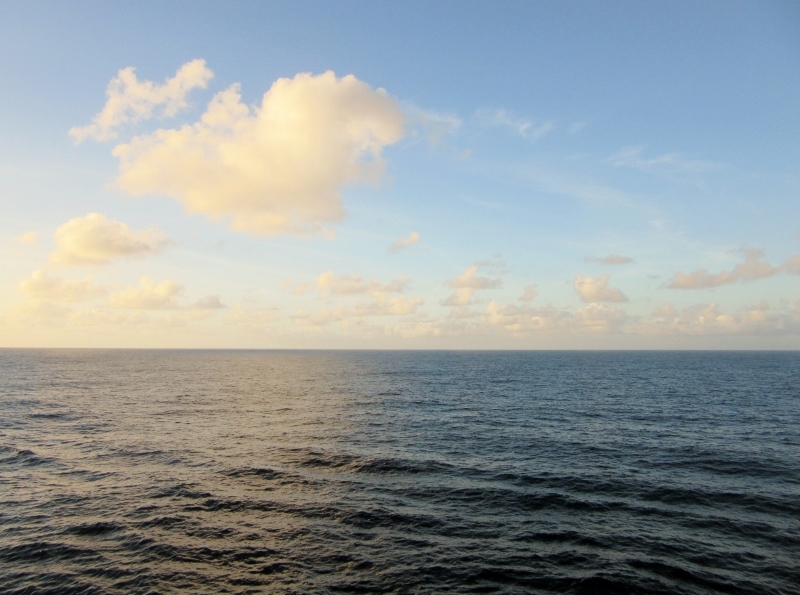 Since this was our maiden voyage on a modern floating hotel/casino we were comforted by the fact that the ocean – an impossibly deep, dark impenetrable blue – was relatively flat so there was no upset to our overworked stomachs in the area of sea-sickness. At worst, the swells were eight to ten feet so pitch was relatively mild. The constant thrum of the diesel-electric engines underfoot was a bit disconcerting but soon lapsed into one of those background events of which one is only subliminally conscious. And a further aside about the present economy of the island which is based primarily on tourism. In an average year over 360 cruise ships will dock in Madeira and disgorge their passengers who, like us, will descend on the place in mobs to eat, drink, buy souvenirs, and take the quaint tram-way to the botanical gardens and see the island’s other sights. A whopping 70% of the euros generated in the economy come from the guests who flock to this magnificent speck of land. The remaining mainstays of the economy are from produce which is cultivated in the coastal areas and ranching in the highlands around the smaller villages. Fishing provides food for local consumption. 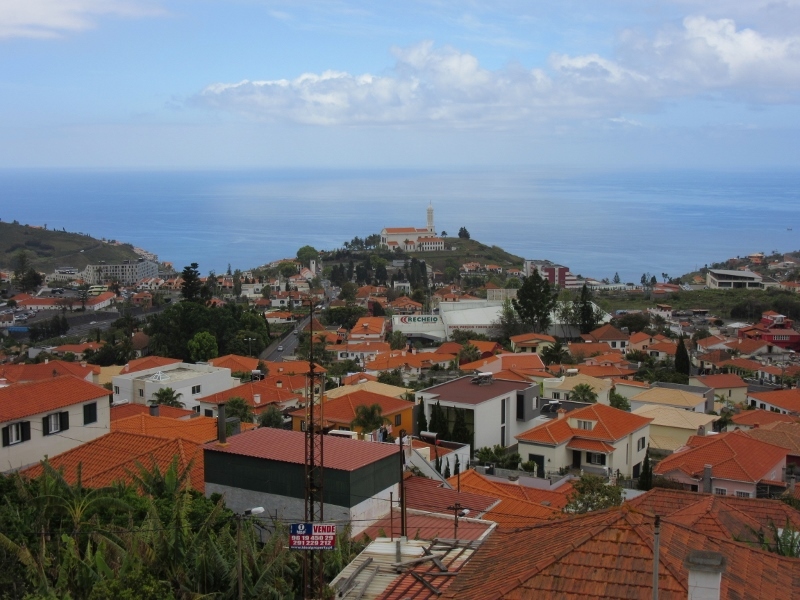 Funchal (a Portuguese name for a fennel plantation) and the island of Madeira were first established around 1452 and the fertile lands in the coastal and upland areas provided the impetus for future settlements. It’s a small island but a handful of hours is insufficient to see all it has to offer from its numerous historic churches, museums and markets to the scenic vistas and countryside reached through roads winding their way through the hills. Actually, the entire island was scenic and the wow factor was high. (Of course, now we have to admit that we’re Europe Virgins too!) The homes were immaculately painted, yards and vegetation trimmed. The hillsides above and below the road ways were stacked with terraced fields which had been under cultivation for centuries; testament to the longevity of the settlement. Life on this island looked to be slow-paced and comfortable. One of our stops was at Camara de Lobos, a small fishing village where fishing boats had been pulled out of the water in the late morning and cleaned, filleted fish hung in the sun to dry. Aside from its antiquity and quaint factor its claim to fame was that after the Second World War, Winston Churchill visited to sketch and paint the harbor. A café in his honor still operates near the wharf. The village also houses the church of Saint Santiago, a deceptively small and modest structure from the outside with beautifully painted plank ceilings and a gilded altar to admire upon your entry. Climbing away from the water we topped out at Cabo Girao and the overlook upon the highest cliff in Europe. Past the cliff the small village from which we had just departed could be seen. The entire sweep of that corner of the island came into view with thin gossamer clouds streaked in the sky, contrasting and merging with the ocean from which it rose. Traveling a bit further we stopped at the view-point of Pico dos Barcelos for another vista. We were not alone as buses, taxis and cars lined the parking lots and the tourists, most likely from our cruise ship, waited to get their photos of the not to be replicated panoramas. 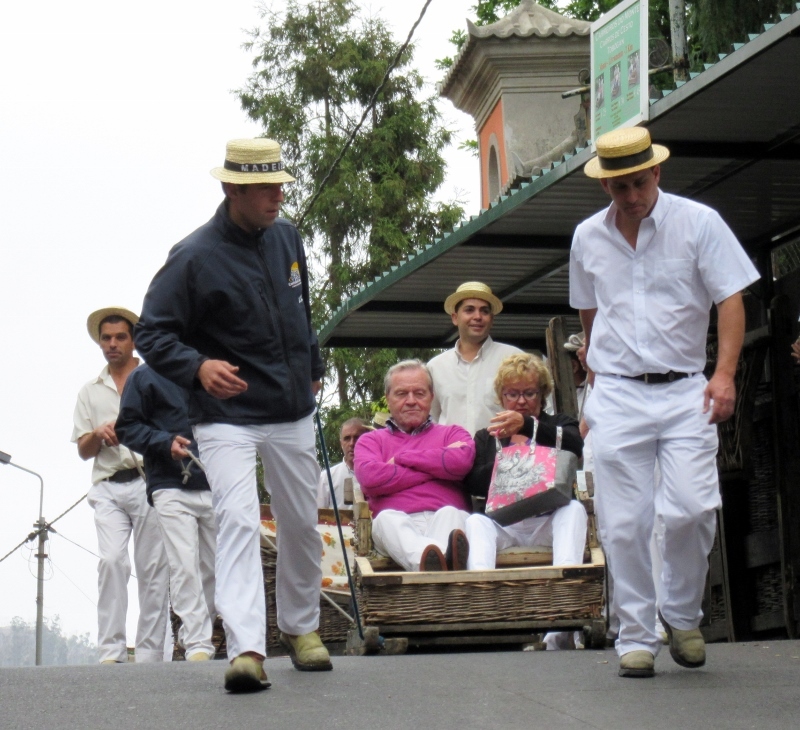 Since we’d hired our very comfortable ride in the Mercedes and a knowledgeable driver we decided not to take the gondola cable cars up to Monte, a parish a few kilometers east of Funchal and famous for its botanical gardens as well as the option to make one’s return to Funchal in the 19th century basket sledges. 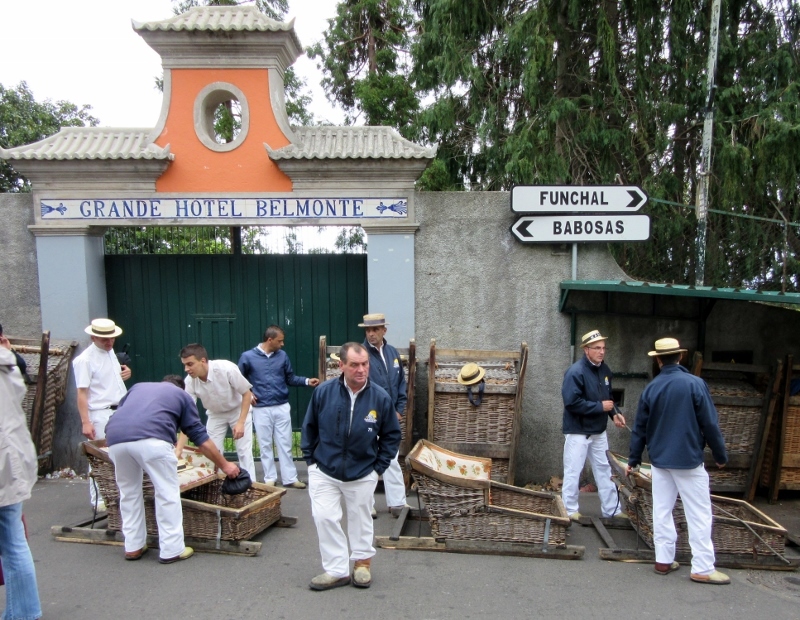 The baskets are attached to skis and were adopted as a quick way to take the townsfolk of Monte down the winding mountain roads to the city. They’re guided by two runners, dressed in white and wearing the typical hats known as straw boaters. The Church of Our Lady of Monte, built in 1741 and rebuilt after an earthquake in 1818, was reached by a climb up many stairs. Although a beautiful church, what made it stand out for us was that it is the final resting place of Emperor Charles I of Austria, the last of the Hapsburg rulers who died on the island of Madeira in exile after the dissolution of the great empire following WWI. We discovered that our short time on terra firma was fast evaporating. 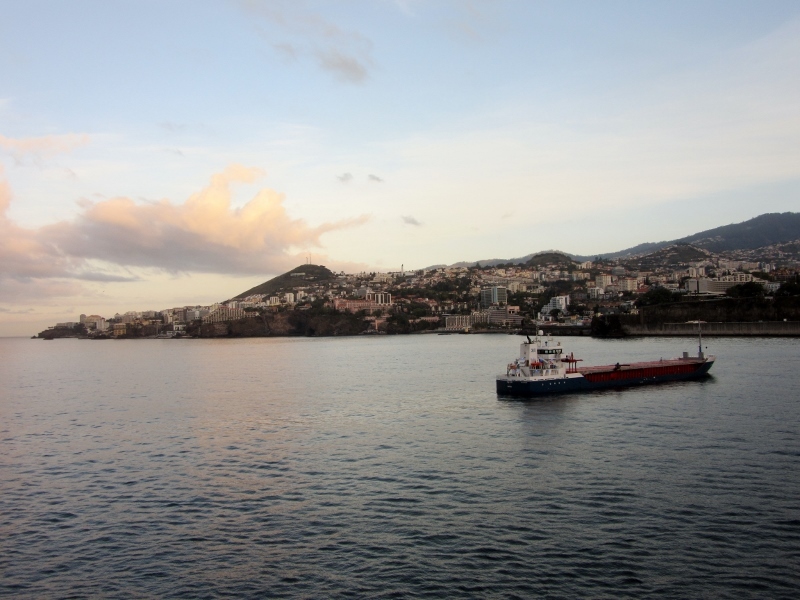 Reluctantly we headed down the mountain toward the harbor where we were deposited at the gangway to our ship. 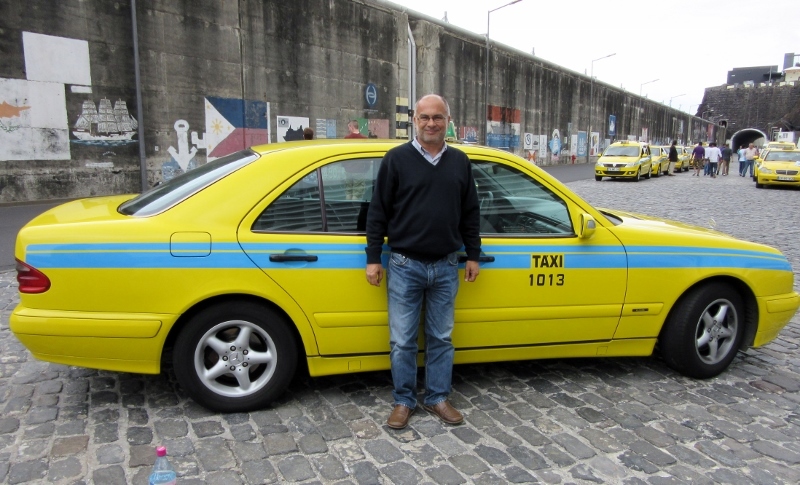 After a quick parting photo of our chauffeur and his Mercedes, we again embarked on our voyage having glimpsed but a fraction of the phenomenal island of Madeira. Thanks for visiting Beauty Along the Road, which brought me to your adventurous blog. I am wondering whether you have some tips about visiting Portugal. I am planning to spend a bit of time there in late fall, early winter. While I’ve been to Spain several times, I’ve never made it to Portugal. Madeira looks really overrun by tourists with so many cruise ships landing there. Would you still recommend it? We spent several weeks in June/July, 2015, in the Algarve region and Portugal is high up on our places to visit! 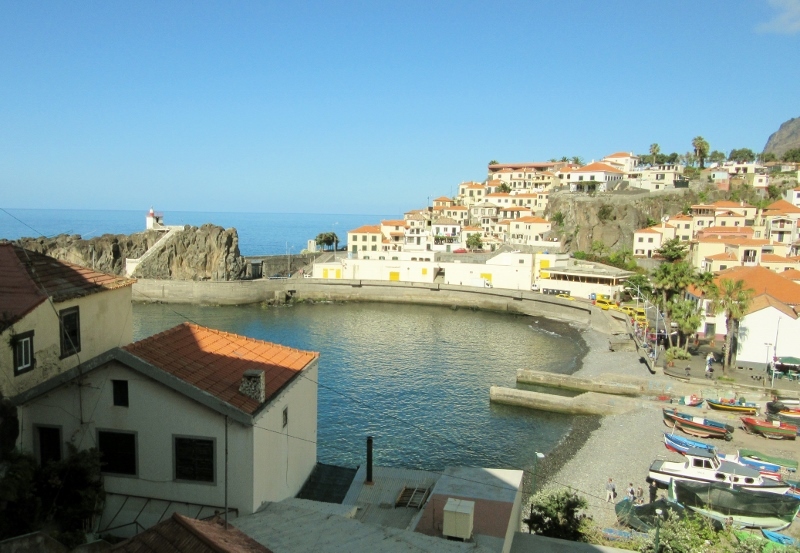 One great source of information about Portugal is the blog site by expat writer Julie Fox, juliedawnfox.com, which gives great information about visiting Portugal, her trip to Madeira and areas of interest all over this beautiful country. 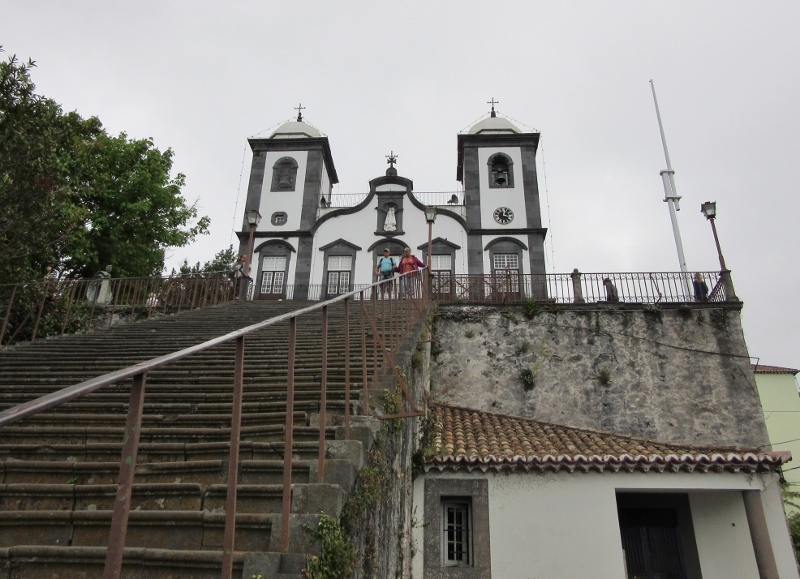 Madeira is a favorite of the cruise ships but don’t let that scare you off since you can get away from the crowds and head to places off-the-beaten path if you have time. We hope to visit it ourselves again and stay a few days as it definitely deserves more time than a day trip from a cruise ship. Thanks, that is very helpful in just starting to think about this trip…. What a terrific idea! Getting my other half on a cruise might be a bit of a challenge but taking to Europe sounds perfect if you have the time. We never really thought of us taking a cruise either. But once we started comparing the prices between land versus sea and realized what a great value was being offered the decision was easy. After all, we have the luxury of time and we liked the idea of being at sea for days, a new experience for both of us. Never taken a cruise… my type A husband would never be able to stay in one place for that long. However… I think your choice was brilliant! Glad you had a wonderful time! As former type A personalities who have learned how to slow down and enjoy the journey our cruise was a great experience. But, maybe your husband needs to take the relaxing in little steps … ! We’re still cruise virgins but thinking about it more and more. 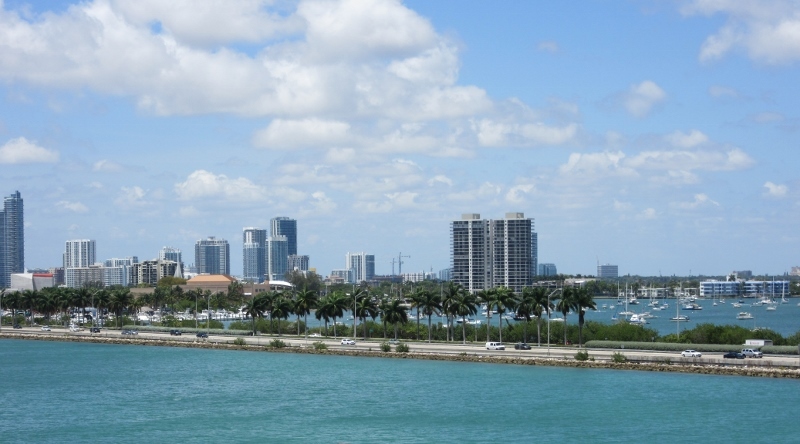 There are a lot of great reasons to climb on board and sail away on your first cruise. Since we have no obligations, time constraints and many countries left for us to explore deciding to take our first cruise was easy. For most people still working it can be the time factor or the fact that the internet available is both slow and expensive. But, it gives travelers another option to get from here to there, save a little money and a lot of hassle! I have often compared prices between a flight and a cruise to Europe, but never took the cruise because of time constraints. I love the fact you did take advantage of such a great deal and that you enjoyed your adventure!! The cruise was a great way to travel in style to Europe and a terrific value, especially because we’re in no hurry. Flexibility is probably the most important factor – deciding departure ports and destinations as well as a time frame. But after that, it’s time to relax and enjoy the journey! The thought of 11 days on a cruise ship is not my idea of fun – you would have to pay me to do that, LOL! I’m glad that you did enjoyed your cruise. We actually found plenty of things to do at sea and enjoyed feeling a bit disconnected and letting the days slide by. We met some very interesting people, read some great books (fiction, history and travel) and sitting on the balcony looking out at the sea was pretty terrific, too! Interesting that you could get a cruise that was cheaper than a flight! Who knew? I don’t think I could tolerate all those days at sea. I have only taken a few cruises, but I like to be in a new port each day. Sounds like you made the most of your one day ashore. Some of the deals were amazing and we actually asked the cruise agent if we were reading all the small print. The rooms are even cheaper if you get an inside room or one with a window but we like plenty of natural light and looking outside. The upgrade wasn’t too much more and was definitely worth it. We’ll be checking out cruises as a travel option in the future as a way to get to or near other places we want to see. The hills and vistas in Madeira were breathtaking and (thankfully!) there was a secure guardrail all around the viewpoint where we took the picture. (I have a “slight” phobia of heights and usually don’t have any problems imagining my demise plummeting off a cliff!) As for the cruising, we were really surprised at how much we could save by checking into the sales. And, while we don’t know if we’d take a cruise just for that alone, it’s a terrific way to get to or near a destination you want to visit. Every cruiser starts out as a virgin:-) I had to drag my husband, a sailor, on a ship but he wound up loving it. Sounds like you got a great deal, which makes it even sweeter. No shame in being a cruise virgin. Sure looks like you picked a good one for your first. Ha Ha! In all seriousness, we can honestly say we enjoyed the experience and plan to look for another cruise in the future. As long as you do a bit of shopping and comparing it’s a great value and we wouldn’t hesitate to recommend Norwegian Cruise Lines either. Another friend of mine also did a repositioning cruise to get to Barcelona for the TBEX conference. If one has the time, it sounds like an excellent way to get to Europe in this age of increasingly expensive airfares. I also might have been concerned about not being able to get off the ship while in mid Atlantic; however, last winter we took a seven day Caribbean cruise and never got off the ship. We had been to all the ports previously and our main impetus for taking the cruise was to get away from the polar vortex. It was relaxing (even though we both did some work) and we had no trouble filling our days. Since we’re in “no particular hurry” we didn’t have any problem with the length of time we were on board the ship and, in fact, we ran into a gentleman who spends four months each year living on cruise ships. Like you, we have no problems keeping ourselves entertained (reading, writing, catching up on correspondence and meeting new people at meals) and there were plenty of organized events provided by the cruise as well. We’re looking forward to repeating this experience again! Oh my, what a great idea.How did you find out about this? Since we have all the time in the world, I think I would love to do this, especially on the Pacific, like LA to Japan, Korea or China since a stop could be Hawaii, Guam, or Fiji. Where do you think I should go look? We’d stumbled across the idea of “repositioning” cruises several years ago but, since they require both a great deal of time as well as flexibility in choosing the destination as well as departure point we filed the idea away. Last year we did a bit more digging and, using the key words repositioning cruises, followed links to subscribe to “Cruises Only” and “Vacations To Go” which list the regularly priced cruises as well as travel deals. And some of the deals are really amazing! Good luck! I’ve only taken one cruise in my life. I enjoyed the cruise experience. It was such fun on the boat. The stops were great, but, as you said, you only get to see a fraction of that location. I’ve thought about repositioning cruises, but don’t know how comfortable I’d been 8 days on the boat without a stop. Did you have some adjustment to get your land legs back? We didn’t notice any difficulty with getting our land legs back and, indeed, were really surprised at how smooth the whole voyage was. As for the length of time on the ship, it was a great way to relax, read about Europe and immerse ourselves in transitioning to a new continent after two and a half years of travel through Mexico, Central and South America and a few of the Caribbean islands. It’s never enough time on those cruises to really absorb a place. I’ve always wanted to visit this island, so full of character and stunning landscape. thanks for the tour! You’re right about that, Noel, and for slow travelers like us we find it really hard to rush from sight to sight. It really is a luxury to slow down and absorb both the fascinating history and culture of a place as well as the architecture and amazing beauty. This island is well worth the visit! Madeira sounded like a fun time. 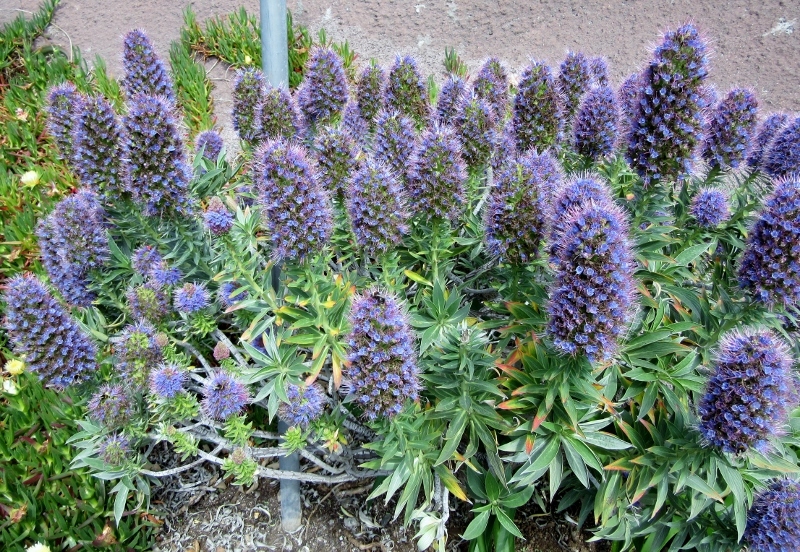 Anita and I have wanted to go to Madeira and are hoping to while in Porto. 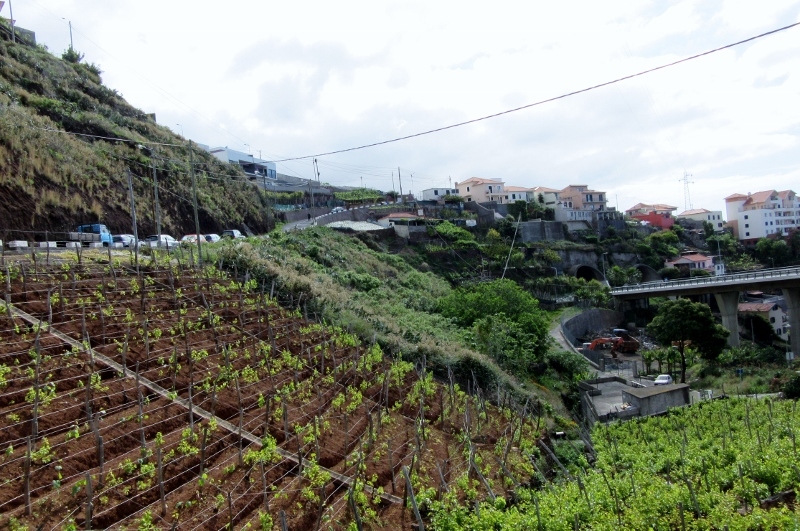 The only “downside” of our cruise was the half-day stop in Madeira which was just enough to convince us that we need to return for a more leisurely visit to this quaint island filled with so much unique history as well as beautiful vistas. Fantastic. My next cruise, I hope, will be a reposition cruise. Seems like a better value. It’s a terrific value, especially if you can be very flexible as to 1) timing 2) length of cruise 3) point of embarkation and 4) destination. For nomadic retirees like us it was perfect as we could plan our travels to coincide with where we needed to board the ship and the end destination of Spain was on our “must see” list anyway! You guys are such inspirations! After reading this article out loud to hubby, we spent about an hour on the internet looking how this could easily fit into our house sitting lifestyle, and guess what? It does easily, thanks again for sharing your adventures so that others can find theirs. Thanks, Eden. Now that you’re nomadic, too, cruising works well as a creative and fun way to reach your next housesitting gig! And it’s a huge value when you can find a deal that combines travel with a place to live as well as wonderful food. Watch out though for the very slow and expensive Wi-Fi! 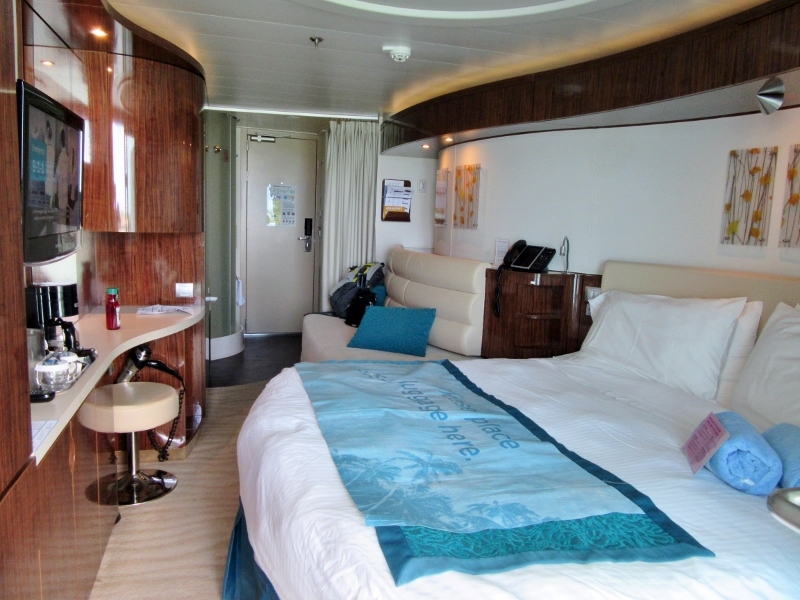 You’re right about making the cruise experience ours and we found it to be a pleasant disconnect from the “real” world as well as a time to focus on relaxing after our hectic visit back to the States. Since we’re slow travelers a half day visit to Madeira was just a tantalizing glimpse of what an intriguing and beautiful place this island is. 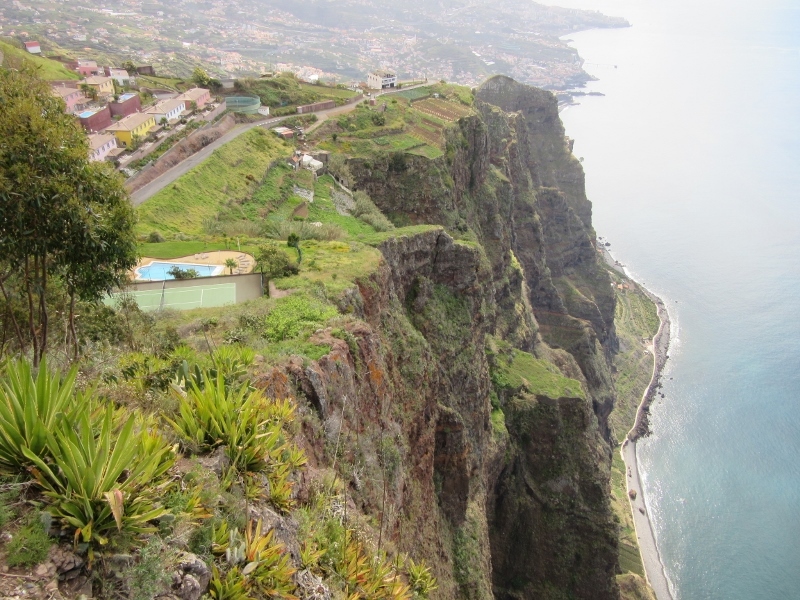 And we’ll just have to put Madeira on our “Must RE-visit” list! Very nice, looks like you are having a great time. Enjoy!!! Thanks, Hugh. Enjoying the journey is a huge part of living the good life! Another great blog on your travel escapades. Keep up the good work. So glad you enjoyed it, Glenn. Sharing our travel experiences (the good and the not) is fun when we have readers and friends like you who follow along! Our cruising days are ahead of us, I think. Great to hear that you can enjoy a cruise without necessarily being a ‘cruise person’. We had vague memories of the dreadful TV show “Loveboat” and weren’t quite sure what to expect. However, the cruise was very relaxed and we took advantage of the opportunity to just “chill” which involved reading a lot of great books, strolling about and meeting new people.